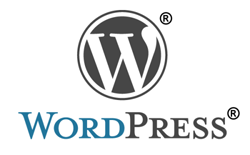 WordPress 3.1 went live yesterday which comes with many extremely useful features like inter psot linking, admin bar, custom post type etc. But for some upgrading to WordPress 3.1 turned out to be nightmare, many bloggers are reporting issues with permalink after upgrading to WordPress 3.1, from complete permalinks stopped working to partial issues like category & archive links stopped working & WordPress forum is flooded with such threads reporting similar issue. Even our friends Taimur asad & Davinder are facing similar issue and we just failed to get it fixed. Though few found out that following plugins causing issue which upon disabling fixed the Category & Archive stopped working. 3. Clear caches if you are using any caching plugins. 4. Regenerate htaacess file from WordPress Permalinks settings page, make sure to backup your existing htaccess. WordPress team has not confirmed these issues & we are still unsure on how widespread is this issue, but we know there are numbers of users using facing issues after upgrading to WordPress 3.1. Let us know in comments if you have found out any fix for category & archive stopped working after Wp 3.1 upgrade or facing some other issues after upgrade. Using too many plugins is always problemmatic.. Thanks GOD. I was thinking to upgrade my all wp sites but i did not upgrade theme. I upgraded today. Both of my blogs will not redirect. I have changed permalink settings and deactivated my few plugins, over and over. I still can’t get my blogs to load.